I was out doing a lil christmas shopping yesterday at a discount store, and came across a Shirley Temple movie. 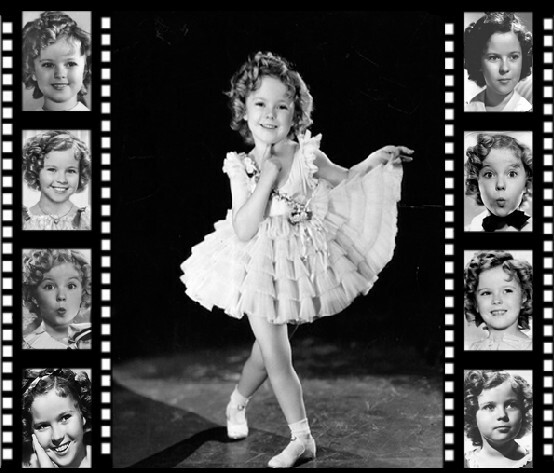 I used to love watching Shirley Temple as a kid. In Fact, I think thats why I started in tap and ballet classes when I was younger. There's so much that her movies did for americans back in the depression..when going to the movies cost 25 cents! Now it costs like, $10 to go see a movie. lol I love putting on an old Shirley Temple movie and just getting some sewing done, or drawing up a design stuck in my head. Watching her movies brought back some nice memories. I wonder if my daughter would like her movies. Well, this is a short post, just wanted to write a quick blog about it. If you click the title of the blog, it will link you to a youtube video that is a tribute for Shirley Temple with her song " I want a hippopotamus for Christmas"